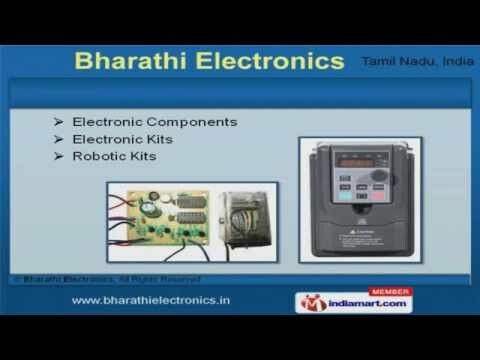 Welcome to Bharathi Electronics, Manufacturer and Supplier of Electronic Timers and Components. The company was incepted in the year 2013. Our Technically advanced production unit and Rigorous quality checks make us unique in the industry. Impeccable quality products, Optimum performance and smooth operations are the plus points of our organization. We offer a diverse range of Embedded Development Boards, Electronic Counters and Timers. Electronic Components, Electronic Kits and Robotic Kits offered by us are acknowledged for their functionality. Self Learning Kits, Electronic Project Books and Interface Modules Sensor Modules are nothing but the best solution for all your needs. We are offering a top notch quality range of GSM Modules and Power Cabinets that are extremely reliable. Our AC Drives, Alarm and Door Bells are in huge demand across the global markets. Fire Alarm Systems for Industry and Automatic Bells for Schools are highly efficient.